Howlin' Wolf Records: SIX STRINGS: WALT DISNEY RECORDS: "THE POLYNESIAN SOUNDS OF TE VAKA WITH TE VAKA’S GREATEST HITS"
WALT DISNEY RECORDS: "THE POLYNESIAN SOUNDS OF TE VAKA WITH TE VAKA’S GREATEST HITS"
Walt Disney Records releases Te Vaka Greatest Hits, which features 10 songs culled from the group’s 8 albums, plus a new previously unreleased track, “Lakalaka.” The music video for “Lakalaka” is available on the band’s YouTube channel HERE. The digital album is available today. The physical CD will be available on October 6 and can be ordered HERE. Te Vaka, a unique 11-piece group, has enchanted the world with its music, costume and dance of the South Pacific for more than two decades. Combining the timeless roots of Polynesian music with contemporary influences and dance, audiences are taken on a journey into the Pacific Islands, into the heart of Polynesia. 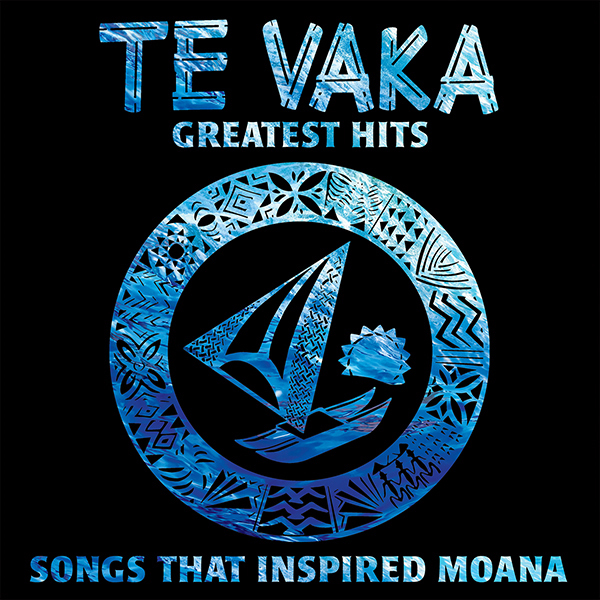 Opetaia Foa‘i, the founder and lead singer of Te Vaka, is a multi award-winning songwriter, celebrated for his dedication to telling the stories of the South Pacific. Foa‘i was part of the diverse and dynamic team behind Disney’s “Moana” inspired music, which also included Tony®-, Emmy®- and Grammy®-winning songwriter/composer Lin-Manuel Miranda and three-time Grammy®-winning composer Mark Mancina (“Speed,” “Tarzan” and the Oscar®-winning “Training Day”). In addition to co-writing several songs for the film and soundtrack, the score also featured contributions from Te Vaka’s singers and log drummers. The “Moana” soundtrack has spent 23 weeks in the Top 10 on the Billboard 200 chart and has remained on that chart for all 35 weeks of its release.